Man has been fooled throughout the ages. But it isn't the Devil he should fear. 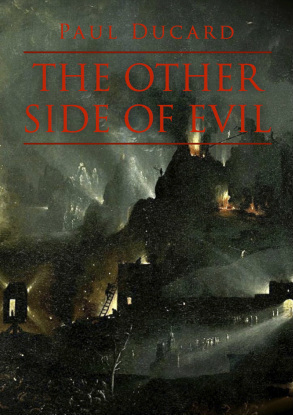 "The Other Side of Evil" is a story about the fall of the Devil from the Devil's perspective. Newly arrived are brought to the gates of Hell and find Satan their teacher of Heaven's history, his rise to power in God's Heavenly City, and his ultimate fall from grace. Satan, indeed, lost the war in Heaven but the "true" history of Heaven has been obscured and propagandized by God for his own political purposes. Unlearning everything they've been taught, the newly arrived must be swayed into staying in Hell or risk an afterlife of slavery. But will they believe Satan when they find out the Hell they feared is a place of democracy and virtue while the Heaven they've longed for is run by a scheming and tyrannical God, bent only on Man's total subservience and subjugation? Get The Other Side of Evil at Amazon.com! You can find Paul Ducard and The Other Side of Evil on Facebook and Twitter.